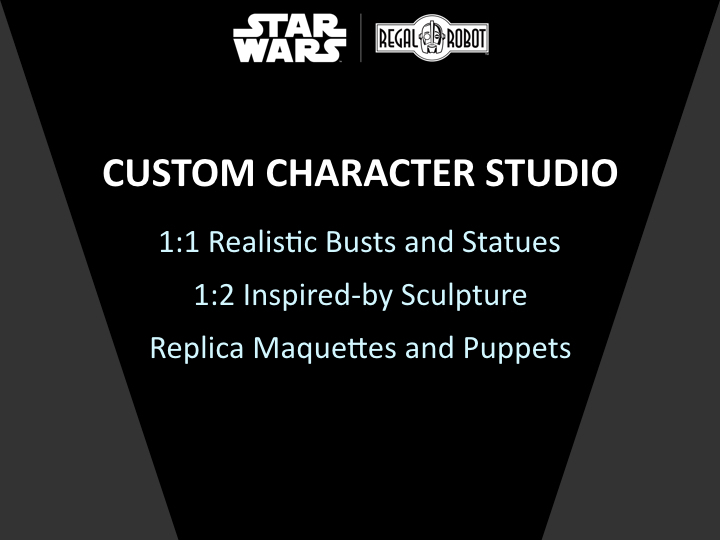 Regal Robot announces new Star Wars™ creations at San Diego Comic Con, including our new Custom Character Studio! 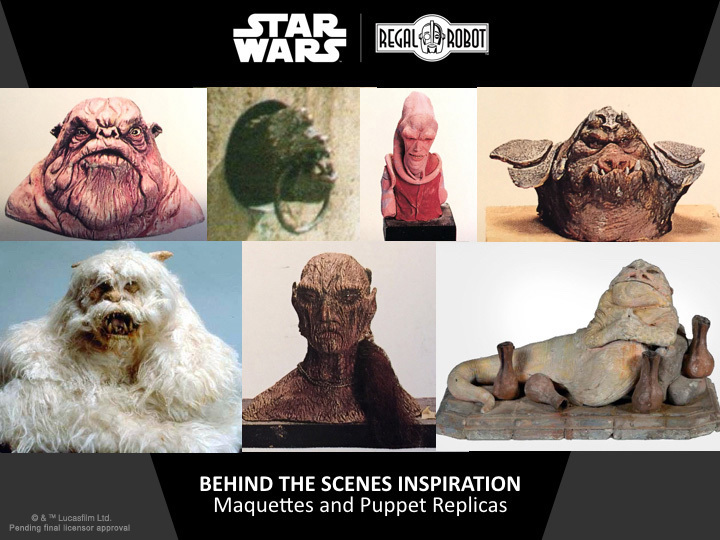 Lucasfilm and Regal Robot have teamed up to offer some amazing furniture, art and decor over the last few years and at San Diego Comic Con today, Regal Robot™ founder, Tom Spina made some major announcements about the future of our Star Wars line! Speaking on the Lucasfilm collectibles panel, Tom shared images of new products for our home decor line, and announced our all new CUSTOM CHARACTER STUDIO, where we’ll be offering custom and even one of a kind life sized character statues, busts, and prop replicas of maquettes and puppets used in the productions of the films we love. This new section will debut in early 2019. Simply add your email below to join our newsletter and you’ll be the first to know about all of these exciting new creations as we release them! Below are a few of the photos Tom shared at the convention. Here’s your first sneak peek at some of these amazing new creations! Please don’t hesitate to contact us at any time if you’d like to discuss a custom furniture, decor or sculpture piece for your home or office! 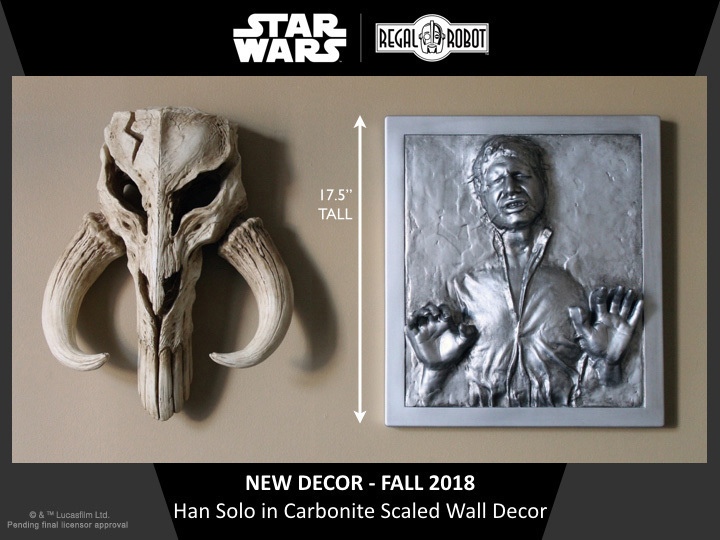 Our new scaled Han Solo™ in Carbonite Wall Art will debut soon! 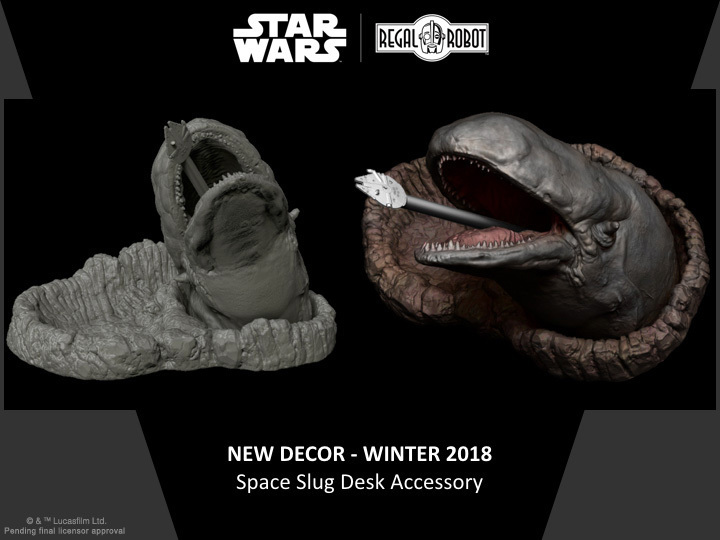 Our Space Slug Desk Set gives you a great place to put your pencil and was sourced from a scan of the original prop! A few of the new types of creations we’ll be offering in 2019! 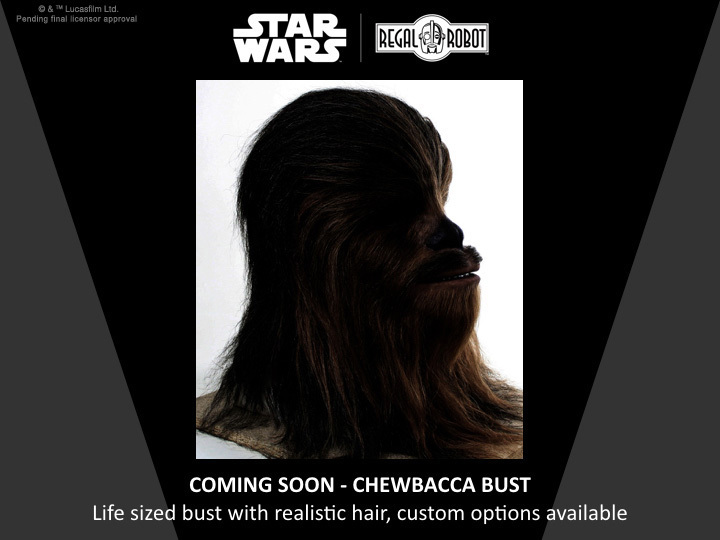 Our first life-sized bust will be the mighty Chewbacca! 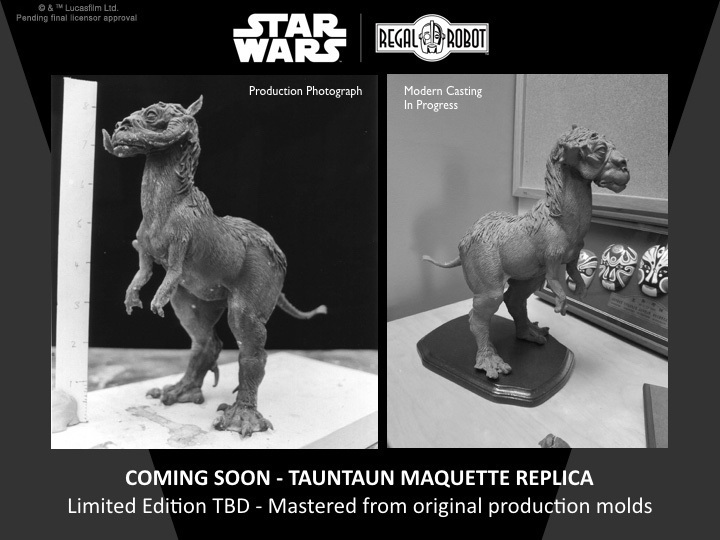 Working with masters from the original molds, we’re recreating the Tauntaun maquette from the production of The Empire Strikes Back! 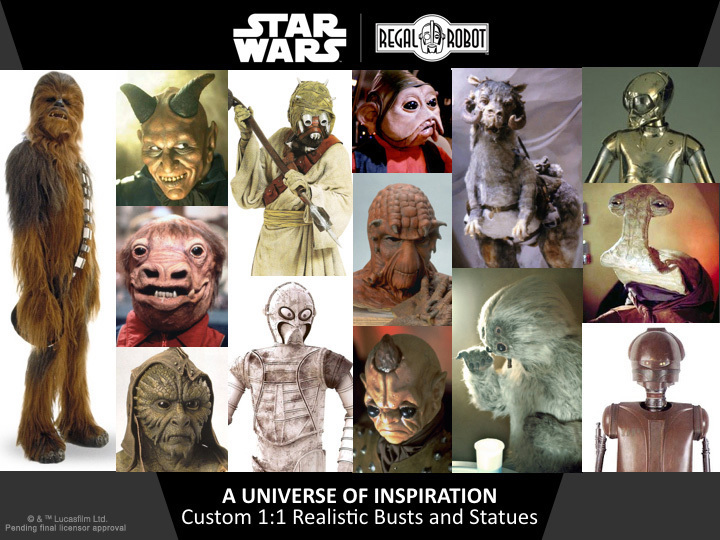 We find endless inspiration in the creatures, droids and characters of the Star Wars universe! Let us create a custom character for you! Likewise, there are some amazing maquettes and puppets we can look to for inspiration for future replicas or custom work! We’re excited to share all of our upcoming sculptures and products with you. Enter your email below to join our newsletter and we’ll let you know about all of these new creations as we release them! Thanks for reading!